This is a round RCA Victor porcelain sign. 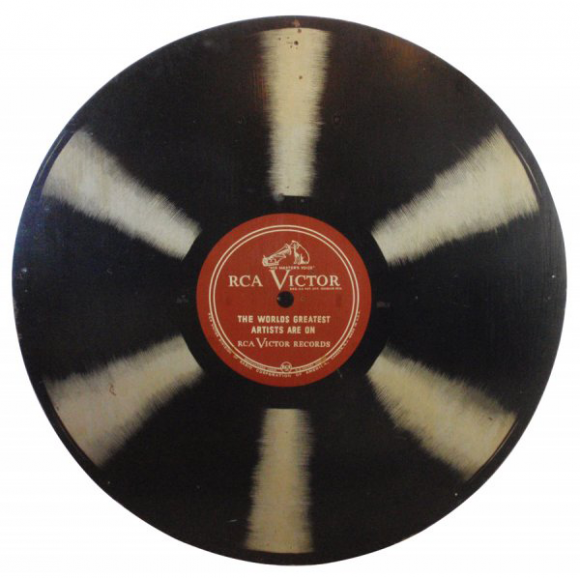 This particular RCA Victor sign is shaped and colored like a black vinyl record with a red label in the center. It reads, “RCA Victor, The Worlds Greatest Artists Are On RCA Victor Records”.